Dr Baranowski qualified from Guy’s Hospital, London, in 1984 having obtained both a BScHons and his MBBS. His pain medicine training was complimented through his higher qualification in pain research, in 1993 (MD). He was appointed to the staff of the Middlesex hospital in 1994 where he developed his interest in neuromodulation for neuropathic and complex spinal pain. Through his multispecialty work with urologists, gynaecologists, urogynaecologists and colorectal specialists his interest in urogenital/pelvic pain started and he has since set up the largest centre for urogenital/pelvic pain in the UK. He was awarded the FFPMRCA in 2008, the first year it was available. Dr Baranowski has organised over 40 meetings and was influential within the Royal Society for Medicine Anaesthetic Section Council (2001-2009) setting up the Pain Medicine subsection (2009-2010). He was appointed The Royal College for Anaesthetists, Regional Advisor for Pain Medicine 2003-2010. Dr Baranowski has sat on several guideline committees including The European Association for Urology CPP group (2003-present), and has influenced pain medicine through guidelines published in the UK, Europe and North America. He was a founding member and President (2001-2005) of The International Society for the Study of Pain’s special interest group for urogenital pain, PUGO. Dr Baranowski has chaired the Taxonomy Committee of that group since 2003. Dr Baranowski has over 75 publications. 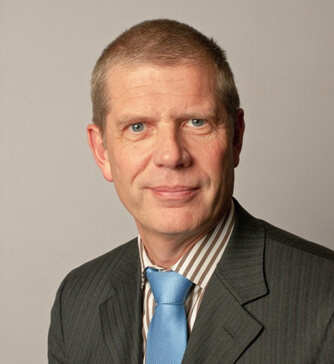 He currently is an elected council member of the British Pain Society (2010-) and has served on their education committee, Pain Patient Pathways Mapping working group (2010-13), Hon Treasurer and is currently President.